Cashmere quality, is measured in length and thickness of the goat hair. The length cashmere fibers ranges from 0.8 inch for cheap cashmere to up to 2.5 inches for the most luxurious. The diameter of the fiber must be less than 19 microns to be considered cashmere. In comparison, human hair has a diameter of 75 microns. The finest cashmere is around 14 microns. Thicker, shorter (scratchy) hair is used to make cheap garments and is often used as part of a blend. However, buying cheap, inferior cashmere ironically comes with a price… First you’re going to be compromising on the very things that make cashmere so sought after: its softness, light weight and its insulating properties. 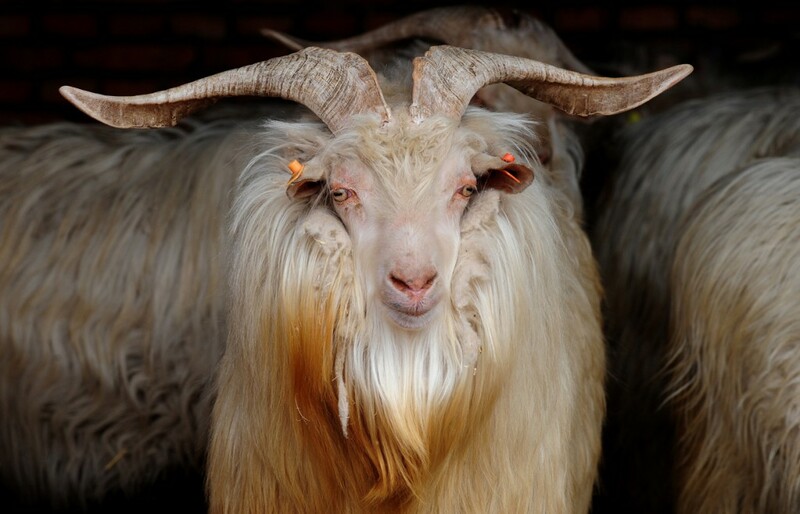 The finest cashmere comes from Inner Mongolia where the inner coat that grows in the cold winter months and helps the goats withstand the severe temperatures and the harsh weather conditions. This is what makes the finest cashmere eight times warmer than sheep’s wool. Cheap cashmere garments simply don’t have these same unique properties. The shorter courser hair will pill more readily and will lack the warmth, softness and sumptuous feel that makes cashmere….cashmere. The very things that make the finest cashmere so highly coveted. Remember that the next time you think you’re getting a bargain buying “discounted” cashmere at the mall. This entry was posted in cashmere, expert, how do you find the best, luxury, Sweaters, the best, Uncategorized and tagged best cashmere, Cashmere wool, Sweater. Bookmark the permalink. Great article – very important to state these facts I find.